Rachel stood in the elevator looking down at her strong-willed toddler on the floor. He swung his head backward and let out another enormous WAAAAAAA, loud enough to grab attention and sympathy of others who were in the elevator. At that particular moment Rachel wanted to cry too, but as a parent, she decided to have self-control. She knelt down to her toddler, waited until their eyes locked and said a few calm but firm words. As the elevator reached their floor, she gave a smile to others present, picked up her son from the floor and walked out of the elevator. If this sounds familiar to you, then there is a pretty good chance that your kid is a strong-willed child. Having a strong-willed child is not a curse it’s a blessing, one just needs to know how to guide them. Luckily, we, the adults, have the developed cerebral cortexes our young ones lack, so dealing with them is not that difficult as it may seem. MomJunction tells you who classifies as a strong-willed child and how you can deal with him. Who Is A Strong-Willed Child? Strong-willed or spirited children are those who want to have a sense of control over their life. They love to challenge rules and rebel if you dictate or give them an ultimatum. They may get angry if things are not done their way. Take the quiz at the bottom of this page to understand how strong-willed your child is. So, how do you identify a strong-willed child? What characteristics do they have? Below we have mentioned some characteristics that most strong-willed children commonly have. Strong willed children have a vision in their mind about how things should be and they often orchestrate ways to turn that idea into reality. They are not shy about telling adults what to do. Just don’t waste your energy and time trying to convince a strong-willed kid to do something that he does not want to do. You have to find creative and innovative ways to make them do things. All toddlers throw tantrums but a strong willed child exhibits intense anger that does not subside easily. They have low tolerance level and struggle to express their anger in a socially appropriate manner. These kids hate waiting for anything, be it in a line at the grocery store, sitting in a waiting room at the dentist’s office or waiting for their turn when playing. They are extremely impatient and want things to be done quickly and as per their wish. They are not interested in hearing your opinion; instead they are likely to insist on doing things on their way. They prefer to set their own guidelines or rules rather than follow an authority figure. Strong willed children are good at selective hearing and they tune out anything that does not suit their needs or wants. Spirited kids often eat fast and talk fast but then move at a snail’s pace when doing something they are not interested in. These tots understand the difference between a need and a want. Whether they want to play out in the rain or eat doughnuts for breakfast, they will insist they should get what they want. One of the good and bad things about strong willed kids is they want to know why they can’t do something or why you have set certain limits. They question your rules and decisions. It is impossible for them to do things just because you asked them to do. These kids do not give up easily. They love to engage in power struggles and their stubborn persistence often works for them as they tire other people out. Try not to fall in the trap. By now it is pretty clear that a strong willed child is a tough nut to crack. Therefore, you need to develop a parenting strategy for them. Your strategy cannot be a run-of-the-mill. Observe your child and customize your approach towards him/ her (1). Most strong-willed children are fighting for respect. If you give them respect, they don’t need to fight to protect their position. And, like the rest of us, it helps a lot if they feel understood. As an adult, we might reasonably presume that we know the best. But a strong-willed child has a viewpoint that is making her hold fast to her position, and she is trying to protect something that seems important to her. Only by listening to her and understanding her point will you know what’s making her oppose you. Always listen to her with non-judgmental curiosity and acknowledgment. If you give him orders, he will almost certainly bristle. If you offer him a choice, he feels like the master of his own destiny. Only offer choices you can handle and do not let yourself get resentful by handing away your power. Unless you’re worried about some serious injuries or damages, let them learn through their experiences. And you can expect your spirited child to test your limits constantly as that’s how he learns. It’s easier to stay calm once you know that. You should set reasonable expectations and enforce them. But under no circumstances should you try to break your child’s will or force her to comply with your views. She has to do what you want, but she’s also allowed to have her opinions and approach about it. Let him take charge of as many of his activities as possible. Don’t nag him to do anything; if he feels independent and in-charge of himself, then he will have less need to oppose. Not to mention, strong willed kids take responsibility early in their life. If your spirited child does not want to wear a jacket then don’t force him. His body is telling him not to and he is sure he is right. However, he does not realize that it is cold outside. In a situation like this do not undermine that self confidence. Just tell him that he does not have to wear it now, but can carry the jacket and use it later if he changes his mind. Teach him that there is nothing wrong in letting new information change his mind. Strong willed or spirited kids are definitely a challenge but there are ways to face the daily battles and win them. How To Deal With A Strong Willed Toddler? As a parent we all want a well-behaved and perfect child but no such thing actually exists. Keep in mind some of these simple strategies, when you deal with your strong willed kid next time (2). 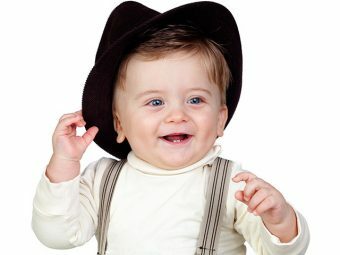 Toddlers become apprehensive if they cannot predict what is coming subsequently but spirited toddlers need events spelled out to them in an extent that you may not expect. One cannot cut all the surprises out from your child’s life but you can minimize the stress by giving your toddler a head’s up whenever you can. It is important to set limits for your toddlers because if you don’t then they will test you and demand what they want. Spirited toddlers need the security and consistency of clear rules. As toddlers move towards independence they still want to connect with you. They need to know that they can trust you to be there for them. This way they will ultimately be more independent. The more child-friendly your house is the less you will be fighting with your kid to keep him away from things or places. Organize your house in a way that your toddler has independence and involvement. Make sure his toys and books are easy to reach. For instance, a low cupboard in the kitchen area is safe for him to play. Highly energetic tots cannot sit still at a place. Therefore, it’s sensible to choose restaurants carefully. Go for a picnic in a park where he has ample amount of space to run and play. Reinforce his efforts with positive feedback and messages. Praising him will encourage him to learn good behavior willingly. Toddlers need extra time to understand, learn and cope with things and changes which you may find easy and natural. Know where your child is developmentally and expect toddlers to handle things from their level not yours. Their emotional, physical, mental and psychological growth and development varies at different ages. Use positive words when you are discussing your toddler with friends, relatives and teachers and soon they will come to see their great attributes too. When you focus on their positive traits and strengths, it changes your way of looking at things and your behavior and that in turn changes their behavior. A toddler who is stubborn, wild and a cry baby is also a child who is persistent, energetic, and sensitive, these are the qualities admired in adults. Toddlers love to keep moving. Let them get plenty of time to explore every day and play outdoors. Physical activity helps your toddler improve muscle control, balance and coordination. Mastering new skills will help your tot gain confidence. Empathize with your little one. Talk to her about why she does not like what is happening. Explain the problem or situation to her, just don’t get angry. Toddlers generally are not able to change their behavior in response to a verbal reasoning. Eventually she will learn to recognize what winds her up before she goes over the edge. Toddlers love attention and often we attend more to negative behaviors (for example, not listening) than to positive behaviors (adhering to expectations). Give time to your kid, show her how important she is, and how happy she makes you. If you see your child behave in a desired way, point it out to her. You can allow your child have a free will but that does not equate to indiscipline. Whether it is a strong willed child or otherwise, discipline is an integral part of the growing up years. Discipline does not mean that you need to wield a stick at the kid. Talk to them, cajole them and if required be firm, but make sure the child is adhering to certain rules. Toddlers don’t learn when they’re in the middle of a fight. That’s when the adrenaline is pumping and learning completely shuts off. Instead of teaching during those emotional moments, take a deep breath and bond. The more you fight and punish your toddler, the more you undermine her desire to protect that warm connection with you. If she’s upset, help her express her anger, hurt, fear or disappointment, so they vanish. Then she’ll be ready to listen to you. But you have to model that, your toddler will not always do what you say but will always, eventually do what you do. A sharp tone can be over-stimulating and scary to a young child; this will push him to the fight-or-flight mode. Yelling will only aggravate things. Try not to scare them; they need to bond to stay emotionally regulated. In order to maintain appropriate behaviors, toddlers must know that you will respond the same way under similar circumstances. Confidence in your decision is crucial. If you are not sure about your own decision then that is problematic. Remember toddlers like to gamble at their age, if it worked once, they will try it again. Staying consistent in your decision is more important than an unwavering rule. 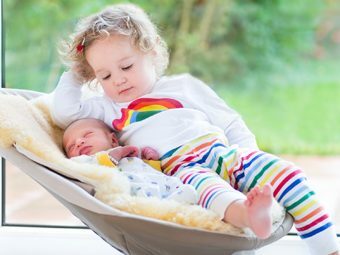 Little ones greatly benefit from structure, and sleep is important to your tot’s physical and emotional health. If they don’t get sufficient sleep, then they tend to be cranky just like we get frustrated with our daily chores and work if we do not sleep well. Strong-willed kids can be challenging, but there is a good side to this temperament. These little ones are not going to let the world change them, they will change the world and that is something to admire. Spirited children have the ability to think independently and to stand firm for what they believe, they do not let the world change them. Many adults who are successful are the people who didn’t give up to obstacles as kids. They see a challenge and meet it head on. Spirited children grow on to become determined and committed people who can make a real difference in the world. They are born leaders. If you think you are the only parent dealing with a strong willed child, you might be wrong. Spirited children are so common in this society that there are several books on parenting such kids. 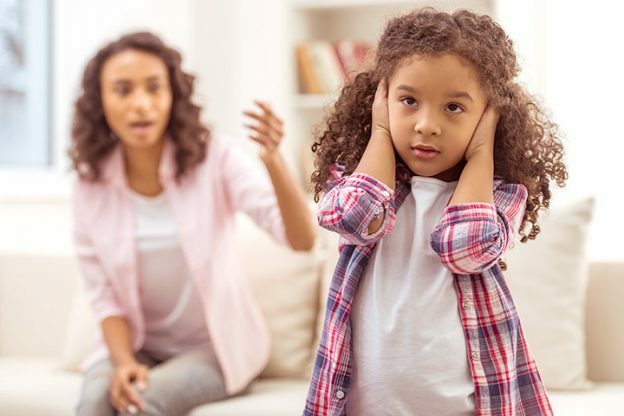 Peaceful Parent, Happy Kids: How to stop yelling and start connecting — by Dr. Laura Markham. The book focuses on the parent, helping them understand and control their emotions so that they can be better a parent. This book is specifically on toddlers through elementary school-aged children. This book will walk you through hands-on ways to deal with your strong-willed kids. The book also has a helpful section about how to work with your child’s teachers to make sure you’re giving a united discipline front. We all want quick solutions to behavioral problems, but parenting is a long-drawn game. The book focuses on self discipline and how to help your child develop it. This book is voted as one of the top 20 parenting books on Amazon. The book focuses on specific areas that tend to be high-conflict, like bedtime, mealtime, and homework. Think of this book as your parenting toolbox. Sometimes it feels like your only two options are punishment or permissiveness but Mackenzie gives you plenty of ways to handle the troubles that come along with having a strong-willed child so that you can encourage your child to behave. You need to be sincere in your efforts and follow the practices judiciously to deal with your kid. Before making any decisions, check where your child stands on the meter of strong-will. Mark each of the following statements that are true most of the time. Never really accepts words like “impossible” or phrases like “it can’t be done”. Can move with speed of light from being a warm, loving presence to being a cold child. Argues a point to an extreme level, sometimes just to see how far into the ground the point will go. When bored, has been known to create problems rather than have a day go by without incident. Considers rules and ultimatums to be more like guidelines (i.e., “As long as I’m abiding by the ‘spirit’ of the law, why are you being so picky?”). Shows great creativity, seems to always find a way to accomplish a goal. Can turn what seems to be the smallest issue into a raging controversy. Does not do things just because “you’re supposed to”. It needs to matter personally. Refuses to obey, seems to always have a few terms of negotiation before complying. Is not afraid to try the unknown to conquer the unfamiliar. Can take what was meant to be the simplest request and interpret it as an offensive ultimatum. May not actually apologize but almost always makes things right. 0-3 – Your child might have a strong will, but he doesn’t use it a lot. 4-7 – Your child uses his strong will when he needs to, but not on a daily basis. 8-10 – Your child has a very healthy dose of strong will, but can back off when he wants to. 11-12 – Your child is one strong-willed kid. He finds it almost impossible not to use it. There may be times when you feel like you are teaching a brick wall. There may be times when you may feel like going backwards instead of forward. But there will also be moments when you will see glimpses of the greatness within your child, greatness that is still in the process of emerging from its cocoon. Just stay positive and enjoy parenthood. 1. How to potty train a strong-willed toddler? 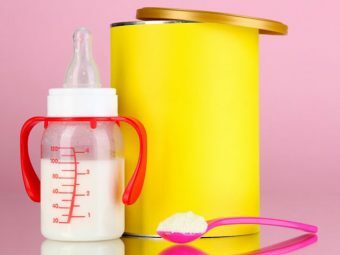 Whether it is a three-day method or potty training boot camp, make sure everyone who is involved in the process is on the same page, be it your spouse, baby sitter, nanny or mother. Strong willed toddler needs consistency. Make it fun. Potty training becomes a boring chore after a few days of running back and forth. Be creative in finding ways to make potty training fun for your toddler. Get a potty training book or toy; give your toddler a special stash of goodies that are only allowed to be played with when they are on the potty. Use positive reinforcement. Toddlers want to make their parents happy. Giving them positive reinforcement empowers them to know what the right decision is and how to make you happy and proud. Most important thing when you potty train your strong-willed toddler is not to lose your temper. It is a difficult job to train your toddler but losing patience is not going to help you or your toddler. 2. How do we set limits for a strong-willed child? Always think ahead, make a plan or strategy. Parents often know areas where their toddlers will push or fall apart. Take the space to think things through and know where your limits lie ahead of time. Do not explain the reasons more than once. Repeated explanations will make you vulnerable. Check your body language and facial expression. Nonverbal cues are important while communicating and always get down to their level or height. It is because you are huge and intimidating to a small child. You can mean what you say while crouched down in close proximity and wearing a neutral facial expression. Use humor often. 3. How to home-school a strong-willed child? Most strong-willed kids are not print smart. If you make them sit down in front of a conventional text book curriculum then they are going to be frustrated. They learn better by hearing and doing. 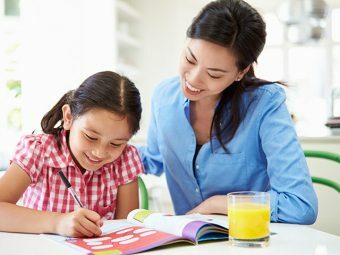 Understand your child’s learning styles and implement study strategy that fits your strong-willed child’s particular strengths. Doing this will help you minimize impatience and frustration, For example while teaching your child, make him sit on the tip of a large exercise ball to keep him moving while he learns. Movement especially in kinesthetic learning helps with memory. Strong-willed children want to get out there and lead. Let them, whenever it is possible. Let him choose what he wants to study or practice on a day. Letting your child take control, wherever possible, will help both of you make studying easier. Homeschooling gives you freedom to create an atmosphere where learning can take place in different ways. Be creative, and take advantage of that. For example, if your child hates to write or read books but loves to play with a computer or iPad, then find an app to assist them. So, what are your experiences with a strong willed child? Let us know in the comments section below. How Does Uninvolved Parenting Affect Your Child? Sesame Seeds (Til) During Pregnancy: Does It Lead To A Miscarriage?